The CRTC has declared broadband internet a basic telecommunications service. In a ruling handed down Wednesday, the national regulator ordered the country's internet providers to begin working toward boosting internet service and speeds in rural and isolated areas. "The future of our economy, our prosperity and our society — indeed, the future of every citizen — requires us to set ambitious goals, and to get on with connecting all Canadians for the 21st century," said Jean-Pierre Blais, the CRTC's chair, at a news conference in Gatineau, Que. "Today's decision signals a fundamental shift in our regulations for basic services from voice-related issues to broadband-related issues." Until now, local landline telephone service was the only service deemed "basic" or essential by the CRTC, although Blais has previously called internet service "vital" and essential to life and success. With today's ruling, the CRTC has set new targets for internet service providers to offer customers in all parts of the country download speeds of at least 50 megabits per second (Mbps) and upload speeds of at least 10 Mbps, and to also offer the option of unlimited data. Why are Canadians spending more on internet? The CRTC estimates two million Canadian households, or roughly 18 per cent, don't have access to those speeds or data. The CRTC's goal is to reduce that to 10 per cent by 2021 and down to zero in the next 10 to 15 years. To achieve that, the CRTC will require providers pay into a fund that's set to grow to $750 million over five years. The companies will be able to dip into that fund to help pay for the infrastructure needed to extend high-speed service to areas where it is not currently available. The fund is similar to one that subsidized the expansion of local landline telephone service in years past. Providers used to pay 0.53 per cent of their revenues, excluding broadband, into that fund. Now they'll pay the same rate on all revenues, including broadband. Blais said competition and the broader base of revenues for the fund will keep the cost from being passed on to consumers. Small providers will also be able to access the fund to build infrastructure. The CRTC also wants to reduce the occurrence of dropped calls and spotty mobile coverage across the country and on major roads. The ruling identifies LTE as the service standard. The regulator has not intervened directly to make internet cheaper. "The commission's approach to affordability has always been through market forces — to make sure we have enough competitors, we have informed consumers that are working in a dynamic marketplace," Blais said. "If that step does not work, then we'll intervene with a regulatory process." Providers will be able to choose what they charge for different speed and data plans. 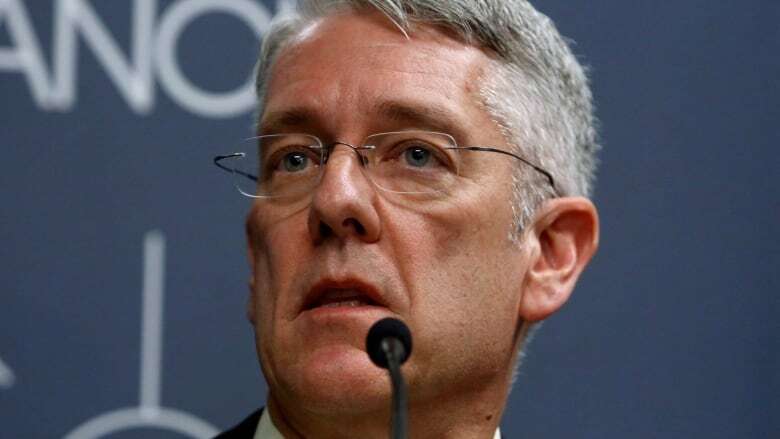 Through competition and the conditions set on the CRTC's infrastructure fund, the regulator hopes service will be affordable. The goal of the policy is to make sure the high-speed option is equally available outside of major cities, where these service levels already exist. Rogers Communications issued a written statement after the CRTC's ruling Wednesday saying it already offers speeds 20 times faster than the CRTC's new standard and unlimited plans "wherever" it offers internet service. However, in response to a query from CBC News on Thursday, the company clarified the "20 times faster" speeds refers to a service offered in areas covered by its cable network. "While there are still many details to be worked out, we are encouraged by this reasonable plan to help increase access to Canadians in hard to reach areas of our country," said David Watt, Rogers' senior vice-president of regulatory affairs. Last week, the federal government announced it would be investing up to $500 million to bring high-speed, broadband internet access to 300 rural and remote communities by 2021. Innovation Minister Navdeep Bains said the Connect to Innovate program is the modern equivalent of building roads or railway spurs to remote locations, providing internet access to schools, homes and First Nations band offices. That funding was separate from the CRTC announcement, but the two programs can work together in that a company could dip into both funds. Carleton University professor Dwayne Winseck participated in the CRTC's hearings and attended today's announcement. "I think the whole idea of just formally including broadband internet into the concept of basic service is a really important milestone for us to have passed," Winseck said. "This is not just a one-off decision." Winseck said the speed levels the CRTC has targeted are "middle of the road" but can have major cultural policy implications. For example, he said, those speeds would allow multiple users to stream video at the same time and open the door to more video-on-demand. Winseck said a more direct regulatory intervention on retail price has become "anathema" in the last 20 years. OpenMedia, an advocacy group that participated in the CRTC process, issued a statement declaring victory over the "basic service" designation. "For too long, rural and underserved communities all across Canada have faced an uphill battle to participate meaningfully in our digital economy," said spokesman Josh Tabish. "Today's decision will go a long way toward closing this digital divide. Now that the CRTC has spoken, we need to hold the Trudeau government accountable for ensuring this exciting vision becomes a reality." The CRTC is also taking steps to improve notices for consumers about when and why they are going over the limits of their data plans. The regulator says Canadians had complained about getting excessive charges on their mobile phone bills, without warning, because of data-sucking apps. Now, wireless providers will have to provide consumers with information about tools to manage their data, better data plans and information to avoid service charges. If consumers don't see an improvement in notices within six months, they can file a complaint against their provider with the CRTC's Commissioner for Complaints for Telecommunications Services. An earlier version of this story had an incorrect surname for OpenMedia's spokesman. His name is actually Josh Tabish.